Questo articolo è stato inserito il giovedì, 31 marzo 2011 alle 14:55	ed etichettato con agency, Areva, Atomic, CEO, Chernobyl, China, disaster, earthquake, Energy, France, Fukushima, G20, IAEA, industry, international, Japan, Kan, Lauvergeon, Minister, Naoto, nucleare, Paris, safety, Sarkozy, States, TEPCO, Tokyo, Ukraine, United, USA e pubblicato in Internazionale, Japan, News, Politica. Puoi seguire tutte le risposte a questa voce con il feed RSS 2.0. I’m experiencing some small security problems with my latest blog and I would like to find something more safe. Do you have any suggestions? 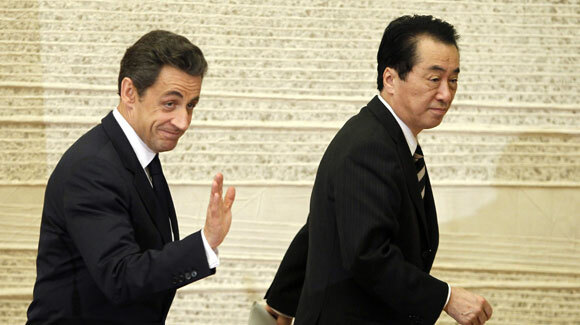 Sarkozy sheltered his nuclear business � Millecaratteri” was in fact a quite wonderful blog, . go for a paid option? There are so many options out there that I’m totally overwhelmed .. Any tips? Thank you! having a blog like yours would cost a pretty penny? I’m not very web savvy so I’m not 100% positive. �Problem is not nuclear industry, it�s safety� Sarkozy sheltered his nuclear business | Millecaratteri. And I actually do have 2 questions for you if it’s allright. Could it be only me or does it appear like some of these remarks appear like coming from brain dead folks? 😛 And, if you are posting at additional online sites, I’d like to keep up with everything fresh you have to post. Hello, Neat post. There’s an issue together with your site in internet explorer, might check this? IE still is the marketplace leader and a huge portion of folks will leave out your magnificent writing because of this problem. This is my first comment here so I just wanted to give a quick shout out and tell you I genuinely enjoy reading your posts. a basic knowledge of bird’s mannerisms and watch them closely. Free standing feeders are usually more than just feeders. Dear Weight Loss, your nickname perfectly interprets the most famous explicit written by Umberto Eco “stat rosa pristina nomine, nomina nuda tenemus” (Il Nome della Rosa) I would suggest this book. it has been translated into over 40 languages; you can easily choose your favorite, online too.